GUILDERLAND – Bob, 80, passed Friday, September 30, 2011, at home peacefully in his sleep surrounded by his loving family. He was a devoted husband, father, grandfather and good friend to many. He was born on May 23, 1931 in Albany to Martin John and Frances Ethel Nichols. He graduated from Phillip Schuyler High School and attended Hudson Valley Community College. Bob enlisted in the Navy and served in the Korean War. Bob was a member of the International Union of Elevator Constructors, Local Number 35, (serving for many years as Secretary) thus beginning his 38 years of service with Otis Elevator Company. He was a long time communicant of The Church of Saint Margaret Mary, serving as an usher for many years, and was an active member in the church’s senior citizens. He was involved in several organizations, most notably the Italian American Community Center and the Albany Elks BPOE Lodge 49. Bob is survived by his loving wife of 57 years, Lillian T. Nichols (Iannelli); his devoted children Robert D. Nichols, Jr. (Theresa), Elaine T. Warfield (Buck-deceased), Anthony M. Nichols, David J. Nichols (Jennifer), Kathleen M. Rizzicone (John), and Matthew T. Nichols (Rosemarie); and his adoring grandchildren Harley, Michael, William, Kathleen, Kelly, Danielle, Kristen, Gianna and Lucas; and brother Michael White. He was predeceased by his stepfather Allan Luther, his sisters Rosemary Sayers and Betty Lou Mulligan. The family would like to extend their thanks and appreciation to the staff of Community Hospice of Albany County especially Bob’s nurse Shirley and aides Joy and Robaire. Sincere thanks to friends and neighbors for their prayers and numerous Get Well and Mass Cards. A Mass of Christian Burial will be celebrated at 9:00 Monday morning in All Saints Catholic Church, Homestead St., Albany. Relatives and friends are invited, and may call at the Hans Funeral Home, 1088 Western Ave., Albany on Sunday from 4-7 p.m. To leave a message of condolence for the family, send a sympathy card, or obtain directions to the funeral home, please visit www.HansFuneralHome.com . 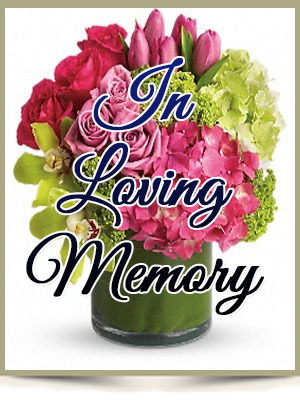 In lieu of flowers, donations may be made to The Community Hospice Foundation, 295 Valley View Blvd. Rensselaer, New York 12144 or All Saints Catholic Church, 1168 Western Avenue, Albany, New York 12203. Offer Condolence for the family of Robert D. Nichols, Sr. The Nichols family has always made us feel welcome. Mr. Nichols has sat with my son to watch the ball games when we were visiting. He was a strong father figure and a good friend. He will be missed. The Diefendorf family were so sorry to hear of your loss. Love and prayers to all of you. Bob was a big part of our lives. He was for many years Dief’s partner at Otis. Love from Marjorie (Dief’s wife), children Nan Weltz Diefendorf, Mark Diefendorf, Marie Breen Diefendorf and Paul Diefendorf. Our thoughts and prayers will be with you always. Webb and I send our prayers and loving thoughts to the entire family. Safe travel to you, Dear Tony.